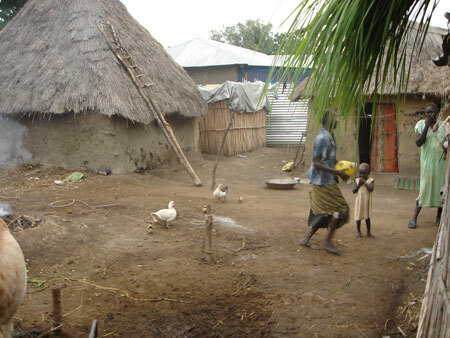 The homestead of the Nuer chief Omda Makwac at Bam, a neighbourhood just south of Malakal. They keep a few cattle in the village for milk. Morton, Chris. "Nuer chief at Bam" Southern Sudan Project (in development). 03 Jan. 2006. Pitt Rivers Museum. <http://southernsudan.prm.ox.ac.uk/details/2007.137.82/>.